More trouble at troubled Bryan College. Long-time faculty member fired, anti-administration petition makes the rounds. What would Bryan himself say of all this? Who is the most influential person in this long-running dispute, even though he is never named? How has mainstream media gotten this story wrong? What does this have to do with Wheaton College in 1961? Bryan’s faculty purges are part of a long tradition at evangelical colleges. Creationist toilet-paper credentials and financial hocus-pocus. What’s wrong with Frances FitzGerald’s new book? Neil Young says it misses the real point of being evangelical. From the archives: What did progressives think of William Jennings Bryan in 1945? Teaching religion in Chicago’s public schools. Is the answer “religious literacy?” I’m still skeptical. What’s the latest scheme for predatory faux-profit colleges? Fake Latin names. From the archives: Glenn Branch gets his hands on a rare 1925 anti-evolution pamphlet. What’s so “classical” about Classical Schools? At National Review, John Miller gives a short history and endorsement. How can a conservative person in America be sure her kids are getting a good education? Relax, says Anthony Esolen in a recent article in the Imaginative Conservative. It’s easy. Just follow a few simple steps. 1.) Don’t give up on memorization. 3.) Relax: your kids will get a good education. Esolen advises conservative parents and school leaders to trust in the natural learning capacities of young people. Children learn. If we trust in our instincts, we will help. One thing that works is to have children memorize things. Too often, Esolen writes, educators look down their noses at “mere” memorization. “For fifty years,” Esolen laments, “we have been cowed by the educational ‘experts’ into believing that it is contemptible, simplistic, backward, and ineffectual.” But memorizing things—whether it’s the multiplication tables or Milton—lies at the heart of education. Esolen relates the tale of a farmer who memorized Paradise Lost. This was more than just rote memorization. This was “getting it by heart,” a process of imbibing a priceless intellectual resource to spark real human-scale education. Heidi, Treasure Island, The Wind in the Willows, The Jungle Book, The Secret Garden, The Yearling, David Copperfield, Silas Marner, Black Beauty, Kim, The Adventures of Robin Hood, Little Women, Oliver Twist, Tom Sawyer, Hans Brinker, the fairy tales of the Brothers Grimm, and of Hans Christian Andersen. Chaucer, Spenser, Shakespeare, Milton, Keats, Tennyson, Browning, Whittier, Dickinson, Frost, and many more. We have all of the wonderful novels of Jane Austen and Dickens and Eliot and Mark Twain and Walter Scott. There’s the great literature of the western world—Virgil and Dante and Cervantes and Tolstoy. If you educate your children this way, Esolen writes, no standardized test will have the power to frighten or dismay them. They will know more than children educated by the most modern methods. Indeed, they will know things, and other children will not. What is a conservative parent to do? According to Esolen, the answer is clear: Relax. The tried-and-true methods and content of schooling are still the best. What is “classical” education? Is it a “conservative” thing? The Heritage Foundation recently published a video lecture by Leigh Bortins, founder and leader of Classical Conversations. Readers of ILYBYGTH may remember a recent guest post from Patrick Halbrook about the thought of classical education inspiration Dorothy Sayers. Bortins’ talk at Heritage did not focus too much on Sayers’ work, but rather on teaching homeschooling parents a classical approach. Those familiar with the themes of classical Christian education will notice that Bortins mostly assumes the age-graded breakdown of the Trivium, though she does talk us through it. Her organization, Classical Conversations, claims over 62,000 students enrolled. Bortins says her program has trained over 8,000 parents, as well as over 16,000 parents who have attended three-day practicums. Bortins herself now hosts groups of college-age people (currently 19) in her home. She teaches them in the classical model at her home. Young people, Bortins insists, must be challenged in age-appropriate ways. Monotony and repetition, she says, are the right way to teach young people. Older students must move into questioning and using knowledge to improve themselves and their communities. Too many contemporary education systems, Bortins argues, focus on basics such as literacy and numeracy. Instead, education must keep its focus on big questions of virtue and personal formation. Education, she says, has been turned too often into an industrial processing of young people. 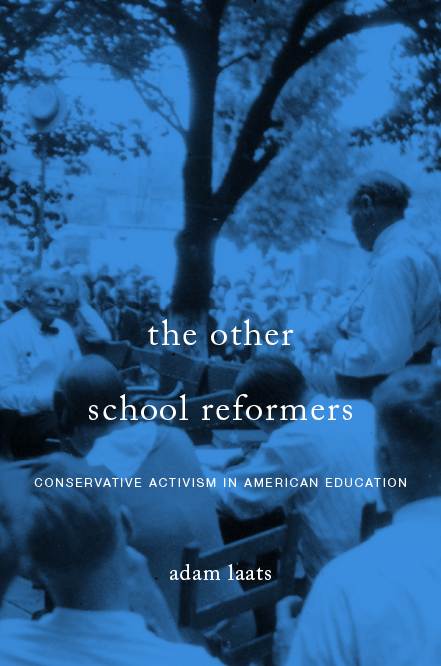 The talk runs for about an hour and is worth your time if you’re interested in understanding the spectrum of conservative ideas about education. Bortins takes her audience through some exercises relating to teaching with a classical model. How do we define a common thing? Bortins uses the example of the Washington Redskins. What makes the Redskins different from other similar things? What defines the team? Parents can learn to engage their student-children in a set of guiding questions like this. There is no mystery to it, Bortins believes. Classical education, she says, will allow everyone to enter into all the great conversations from across human history. Critics might complain that this educational model is literally medieval. Students in this approach spend time defining, comparing, and disputing, just as young Europeans learned for centuries. But knee-jerk characterizations of “conservative education” might be thrown off by Bortins’ emphasis on the educational value of the humanization and individualization of education. Caricatures of conservative education often don’t have room to include Bortins’ emphasis on young people freed to sit under the stars and ponder their existence, young people learning to knit as a way to connect themselves to past generations of civilization. Bortins’ take on good education revolts against an industrial model that treats young people like widgets. Yet Bortins also insists on the value of free-market values in education. She implies a Christian grounding to all true and proper education. In the American context these days, that puts her in the conservative camp. Of course, Bortins’ vision of classical education can’t be taken as the last word. Other classical educators might differ in their definitions and approaches. But Bortins’ talk gives us at least one prominent classical educator’s explanation of the promise of classical education. Posted in Child Parent State, Freedom & the Free Market, What is school?